Casino Midas Review 2019 - $3333 FREE Bonus! Table games count very little in meeting bonus associated playthrough requirements for withdrawal. Visit Casino Midas Get Your Bonus! Casino Midas welcomes all players. Fully licensed and regulated. Casino Midas also promotes responsible gambling and the software is licensed by the Curacao Gaming Authority. Safe & secure banking methods ? All legitimate, real-money online casinos like Casino Midas have strict anti-fraud screens, and that may create a short withdrawal delay. Casino Midas are offering a great welcome bonus. They'll match your first three deposits at 100% allowing you to earn up to $3333 in bonus cash. ? The bonus applies to your first deposit only. Please read the terms and conditions carefully and make sure to take full advantage of the bonus offer. Have you been searching on your own for a new online casino to sign up and play at, but baffled and bewildered by the enormous number of options open to you? In the competitive world of online gambling, first impressions make a huge difference. Ideally, it is best to choose a tried and true casino with a long established track record. But every so often a relative newcomer emerges with a fresh, innovative approach that distinguishes it from the pack and tells you that this site looks like a good place to play. Casino Midas is such a casino. Casino Midas is only in its second year of operation, having been established in November 2012. But it takes its theme from the legendary ancient King Midas who had remarkable powers. Everything he touched turned to gold. Even if it has been a while since you had your own incredible run of great luck in a casino, it could simply mean you are due for a change. Casino Midas offers some golden opportunities to win, and if you have the Midas touch, now might be the perfect time to start grabbing your share. Despite being in business only a little over a year, Casino Midas has quickly become very popular, especially with slot players, in many countries. However, unlike many other RTG casinos, Casino Midas does not accept players from the U.S.
Casino Midas is licensed in Curacao and powered by Realtime Gaming. Downloading the state-of-the-art software onto your computer is quick and easy, and within minutes you could be playing and, hopefully winning, at your favorite slot machine or table game. Or, if you prefer, you can access the Casino Midas games even faster with the instant play flash version. Casino Midas is not playable on mobile devices. Some of the mega online casinos offer so many hundreds of games they put many land-based casinos to shame. 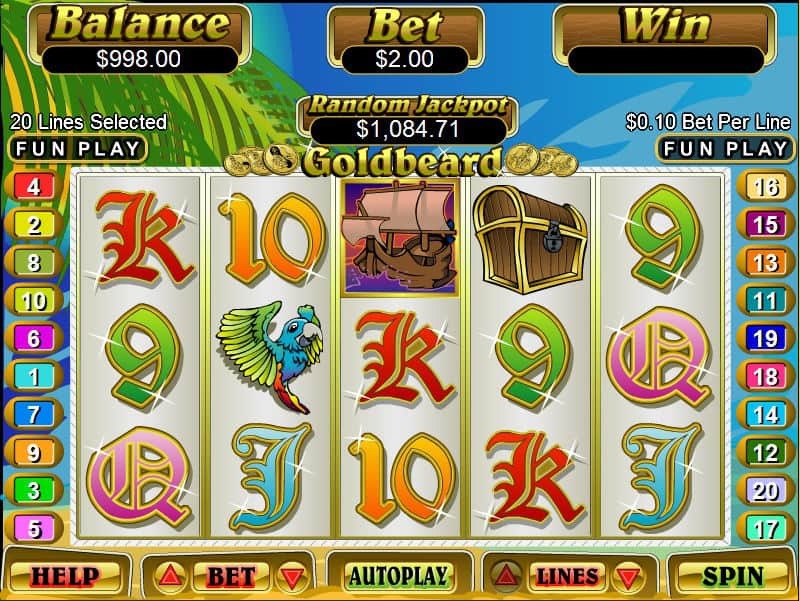 Casino Midas is not that big, so don't expect to find anywhere near the 500+ games that the giant online casinos have. But you will find more than 250, still an impressive enough number to find something to play that is just the right game for you. More than 100 of the Casino Midas games are slot games, and there is plenty to choose from-traditional 3-reel slots, action packed 5-reel video slots and, of course, progressive jackpot slots. The progressive slots are linked to the Realtime Gaming progressive slots network so the jackpots are huge. Faced with all of those choices, you cannot help but wonder is a "Small Fortune" in your future, will your machine be "Naughty or Nice," or will you hit "Pay Dirt" right out of the starting gate. "Small Fortune, "Naughty or Nice," and "Pay Dirt" are just a small sample of the many exciting-and enticing-slot choices that await you at Casino Midas! 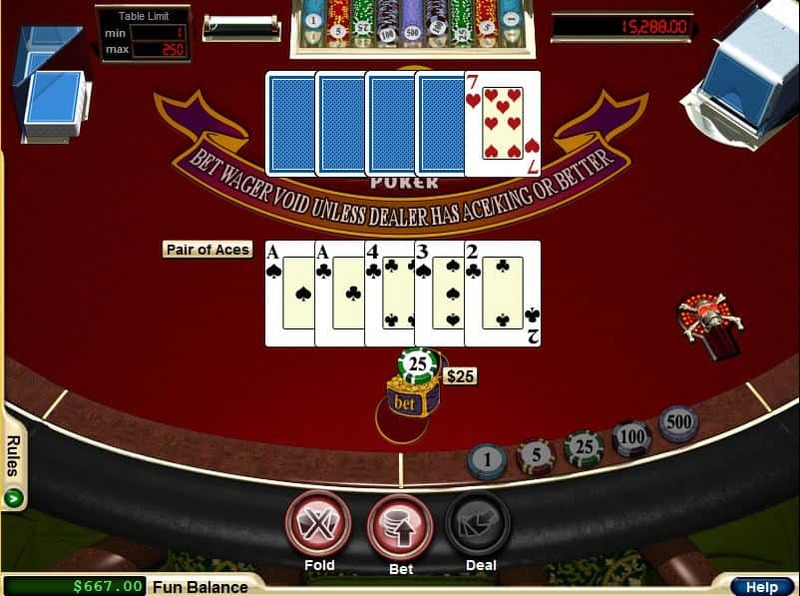 Or, if you prefer table games, you have a variety of options there as well. For example, you can choose American Roulette or the more favorable to the player European Roulette. Or you can play traditional, European, or face up blackjack. 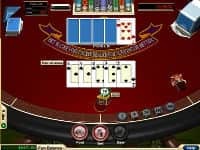 There are also live dealer games, taking your play to a whole new level where you won't even feel like you are playing online but in a real casino. While there is no indication of eCogra certification for Casino Midas, all of the games have been checked for fairness by Technical Systems Testing. However, this reviewer would have preferred not just to rely on the casino's claims but see actual recent verification of average payouts reported on the website. Banking at Casino Midas is fast, safe, and secure, and the choice of deposit options should be sufficient for most players. Do note that with some of these methods, the maximum deposit per transaction is only $500. However, multiple deposits can be made if desired. If you are opting in for the Slots Only Welcome Bonus and wish to make a large deposit to qualify for the maximum amount, you may have to use one of the other methods with a $4,000 maximum. This would be a question to take up with Customer Support. Also, check with the casino if the method you are using for deposit can also be used for withdrawal. Customer Support is available 24/7 via live chat, phone, or email to answer all of your questions and concerns. Whatever method you select, state-of-the-art encryption technology assures you that all of your personal information and financial transactions are fully protected. Casino Midas takes the safety and security of its players very seriously. Welcome Bonus Worth up to $3333! Minimum Deposit is $20. Required playthrough for withdrawal: 25x bonus + deposit. Bonus itself cannot be withdrawn. Required playthrough for withdrawal 25X bonus + deposit. Bonus itself cannot be withdrawn. Casino Midas gives you a choice of two very generous Welcome Bonuses. The regular bonus is given to you in three parts, coinciding with your first, second, and third deposit, up to $500 each time (100% with the first deposit, 150% with the second, and 200% with the third). The Slots Only bonus is potentially even bigger-a 100% match of your first deposit only, up to $3,333. Unless you are depositing a total of at least $1,500, you should take the regular bonus. If you divide your total deposit up between the first, second, and third deposits correctly, you can fare much fare better than if you take the first deposit only bonus. 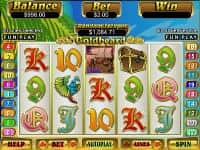 For example, if you wish to deposit a total of $600, first deposit $100, then $200, then $300, which would give you a total Welcome Bonus of $900 instead of just $600 if you take the Slots Only first deposit bonus. On the other hand, the Slots Only bonus is the better of the two if you plan to make a very large deposit. If you are a big bettor and have the funds to support that style of play, by all means go for the biggest bonus you can get. Technically, the difference between the two bonuses is that the regular bonus lets you play any game to meet the playthrough requirements for withdrawal, while the Slots Only bonus restricts you to slots, Bonus Bingo, Keno, and scratch cards. But if you take the regular bonus and play anything other than the latter, they won't count anywhere near the same 100%. (For example, roulette counts 50%, blackjack only 25%, and video poker only 10%). So the already high wagering requirements will be even higher. Therefore, the regular bonus is best played as a slots bonus. The decision which bonus to take should be based on the amount of your deposit, not which type of game you prefer. What both bonuses have in common, unfortunately, is that before you can withdraw your bonus associated deposit and winnings, your playthrough requirement for withdrawal includes 25x both the bonus and deposit. Then, when all is said and done, the bonus itself is not withdrawable. Neither of these rules favors the player. In fact, when the casino takes the bonus back, your account balance will drop dramatically. So unless you have had the Midas touch at the machines or are otherwise sitting on a mountain of money, you won't be able to continue the same level of play indefinitely. Since you can't keep the bonus, for many players, a strong case can be made for depositing smaller more affordable amounts and settling for a smaller bonus. The minimum deposit is only $20. The generous Welcome Bonus is only the start of the many ways your loyal play at Casino Midas gets recognized. The casino has 4 loyalty levels, based on play-Silver, gold, VIP, and VIP Elite. Everyone starts at the Silver level where comp points are awarded at the rate of 1 point for every dollar wagered or, if you join the Slot Club, 2 points for every dollar bet on the slots. As you climb up the ladder, you earn comps at a faster rate and also get bigger cash bonuses. To be eligible for VIP status, you need 20,000 comp points and over $3,000 in deposits. The top level, VIP Elite, is by invitation only. Casino Midas offers a variety of opportunities for Cardschat.com players to keep receiving extra bonuses with additional deposits to your account. If you need to reload your account, as long as it is a Tuesday, Saturday, or Sunday, it is Casino Midas bonus day! In addition, if you lose your Saturday deposit of $50 or more, you get a rebate. Here is a brief summary of what is available. Receive a 50% bonus up to $100 when you reload your account on Tuesday. Receive a 50% match bonus up to $200 on every Saturday and Sunday deposit. There is no limit on the number of bonuses you can claim, but either the preceding bonus playthrough requirements must first be met or the account balance must be down to less than $1 to requalify. If you lose your Saturday deposit of $50-100, you will receive a 15% rebate (with a maximum of a $200 rebate for multiple lost deposits). If you lose your Saturday deposit of more than $100, you will receive a 25% rebate (with a maximum of a $500 rebate for multiple lost deposits). All bonuses and rebates are subject to the same 25x bonus plus deposit playthrough terms and conditions as the regular Welcome Bonus. The bonuses and rebates are not themselves withdrawable. Games: Slots, Video Poker, Blackjack, Perfect Pairs, Pontoon, Roulette, Craps, Baccarat, Keno, Caribbean Stud Poker, Pai Gow, Sic Bo, 3 Card Rummy, 3 Card Poker, Scratch Cards, and more! Join Casino Midas and earn up to $3333!